Once the cold winds of autumn come, many of the flowers that grace summer gardens die back and fade. The fall flowers that take center stage are hardy enough to withstand the colder temperatures and winds of the season. Fall-blooming flowers come in a profusion of beautiful colors. They mix well with rose hips, bittersweet berries and holly berries that are prevalent at this time of year. The autumn crocus looks similar to crocuses that bloom in the spring, but the flowers are a bit larger. 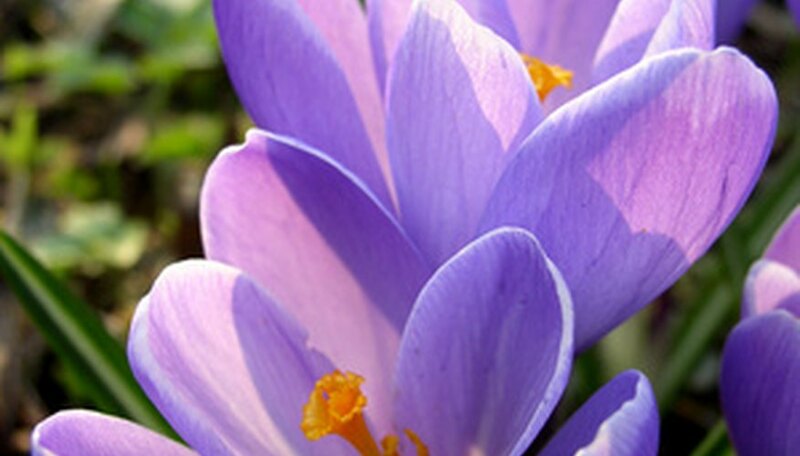 The bulbs of this crocus bloom into white, pink, and lavender flowers that are very close to the ground. The bulbs or corms can be planted in August and September and will bloom in late September or October. 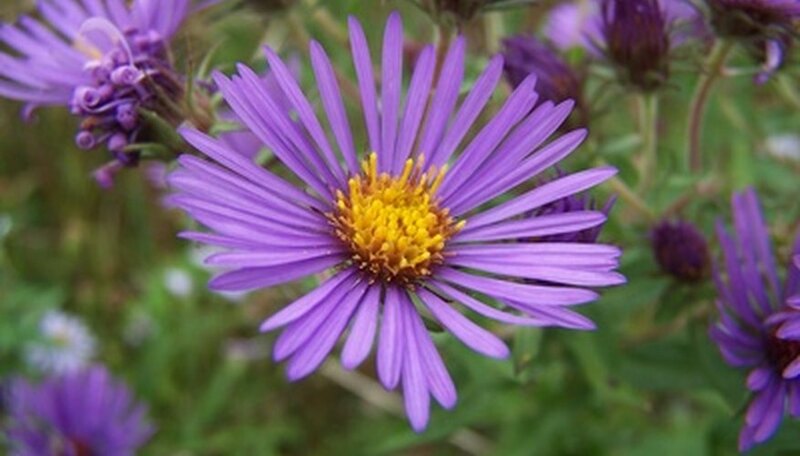 There are many different varieties of asters, all of which bloom in the fall. The bright, colorful flowers look a bit like daisies and come in white, purple, pink or red, and can measure 1 to 3 inches in diameter. If asters start to bud in the summer, pinch back the buds until the end of July to make sure they will bloom in the fall. 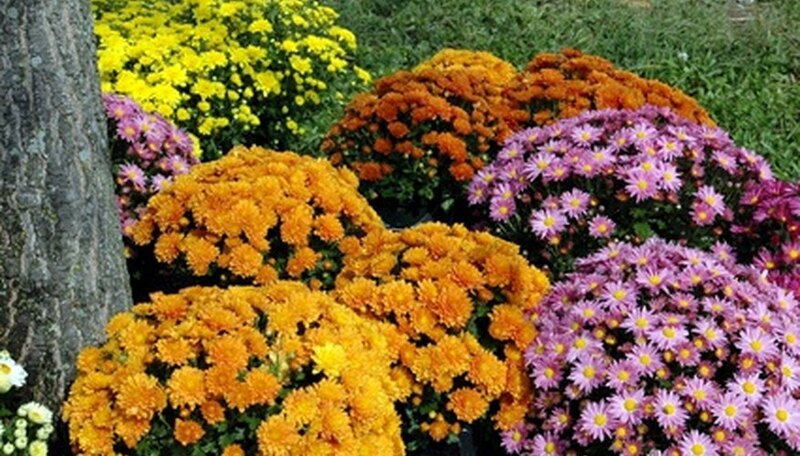 Chrysanthemums, or mums, are among the best-known fall flowers. 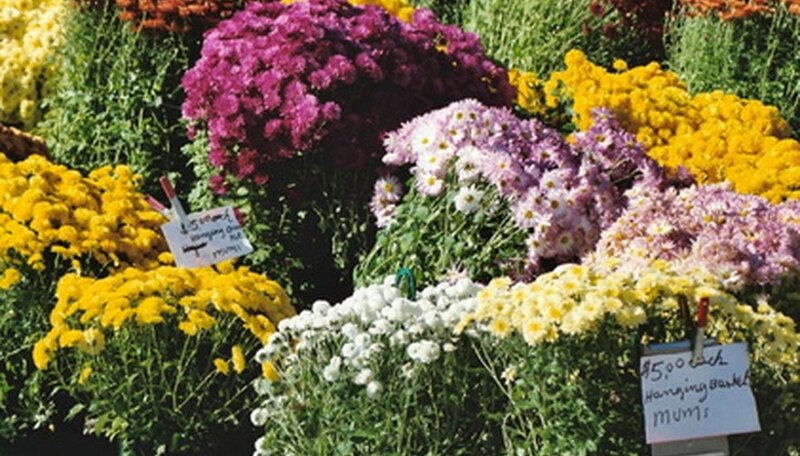 They are usually sold flowering in garden centers in September and October. Once planted in the ground they should return year after year. Some mums have a daisy-like look to them, while others look almost like round balls of short cupped petals. A bit of frost will not stop them from blooming; in fact, they will usually bloom until the snow flies. Buds will start to form in the summer and must be pinched off until late July and August for a fall bloom. Mums come in bronze, orange, red, white, yellow, gold, lavender and pink. 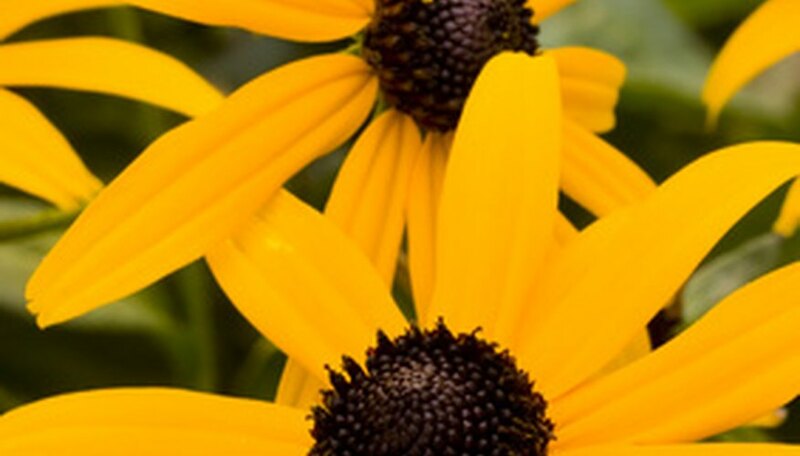 Rudbeckia is a common flower also known as the Black Eyed Susan. It is native to the United States and grows wild all over the country. 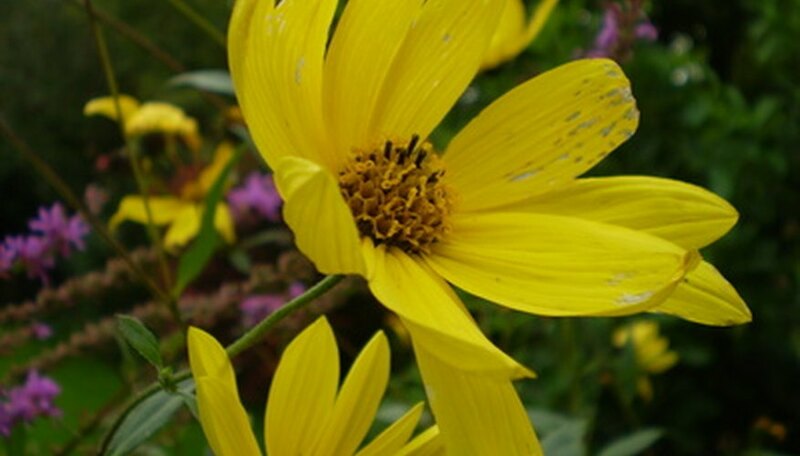 The flower looks like a daisy, but has a brown or black center with yellow gold to orange petals. Black Eyed Susans will bloom all summer long and keep blooming into October. These flowers are easy to grow and need very little maintenance. Generally, the flowers will keep blooming even without deadheading. Sedum is also known as stonecrop. Sedum is drought-tolerant, with leaves reminiscent of succulents like the jade plant. 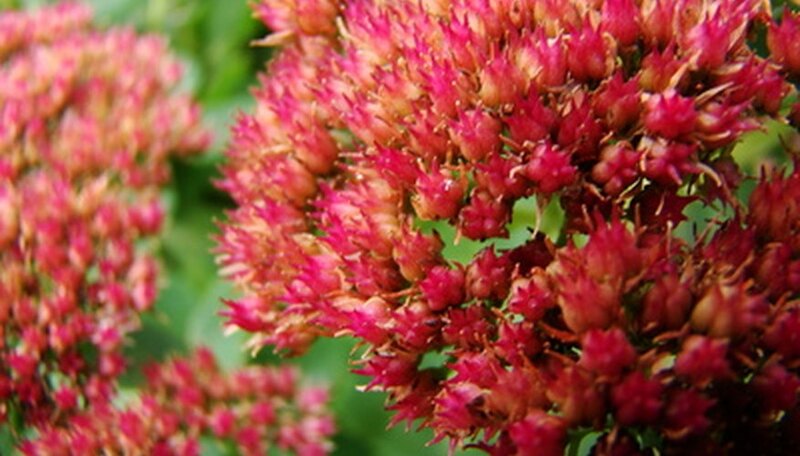 There are many different types of sedum, all of which produce flowers that mature during the fall. The plant may look green all summer long and then burst into blooms of yellows, bronzes, reds, whites, pinks and purples. Some varieties of sedum grow close to the ground and are great for ground cover, while others grow upright reaching about a foot in height. Helenium autumnale, or sneezeweed, is a yellow daisy-like flower that blooms in the fall. The center disk is globe-like with petals radiating all around. Sneezeweed plants frequently reach 3 to 5 feet tall, growing in a profusion of leaves and flowers that can appear somewhat haphazard. Parts of this plant are toxic.